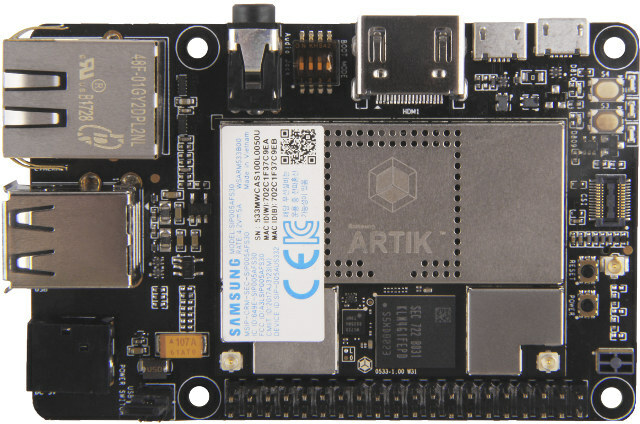 Samsung Artik 530 is a module designed for the Internet of Things based on a quad core Arm Cortex A9 processor, and supporting Ethernet, dual band WiFi, Bluetooth 4.2, and 802.15.4/Zigbee/Thread connectivity, as well as exposing display and camera interfaces, and of course various I/Os. 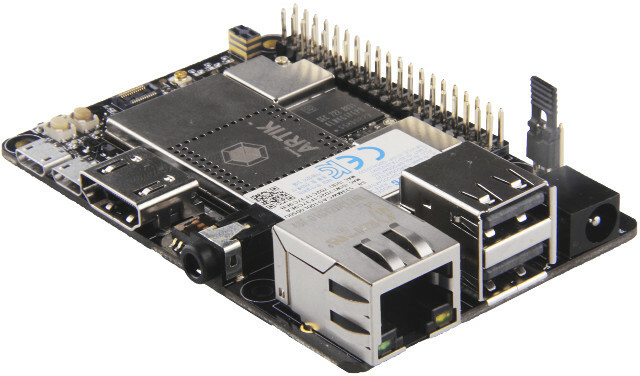 The module was launched about one year ago with a developer kit that cost $189 and up, but Samsung has now worked with Seeed Studio to launch a cheaper developer board – called Eagleye – based on the secure version of the module (Artik 530s) and mostly following Raspberry Pi form factor in order to take advantage of its hardware ecosystem. Some of the add-on boards supported by the board include GrovePi+, ReSpeaker 4-mic array, and other Raspberry Pi HAT boards should also work. I could not find a wiki or software documentation specific to the board yet, but last time I checked, Artik 530 module ran a Fedora image as explained in Samsung’s Artik 5/7/10 getting started guide. Eagleye 530s is now up for pre-order for $79 on Seeed Studio with shipping planned for the end of April.